JEFFERSON CITY, Mo. 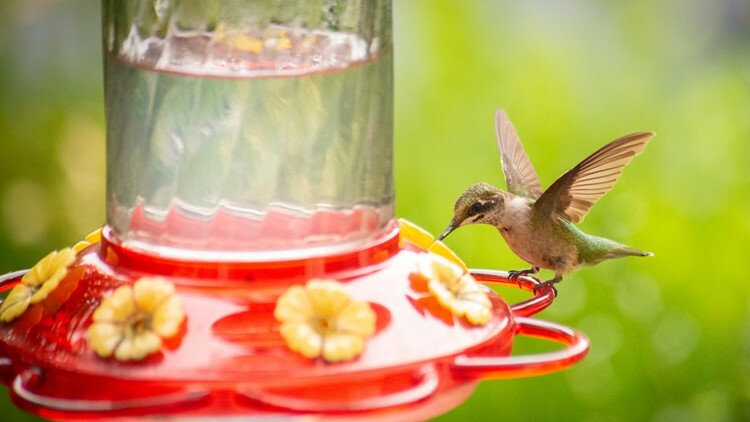 — The ruby-throated hummingbird, the tiniest bird to nest in the Show-Me State, is a harbinger of spring. The Missouri Department of Conservation urges the public to learn more about these long-distance fliers as they begin to arrive during their spring migration. Ruby-throated hummingbirds spend the winter in Mexico and Central America and start their spring migration north as early as March. To track their migration and report your hummingbird sightings, Kendrick recommends visiting Journey North or eBird. These real-time sites show where the birds have been seen this year as they make their way back to the U.S. and Canada. “Native plants attract the most insects, which are a vital food source for breeding birds and their nestlings. Great natives for hummingbirds are cardinal flower, jewelweed, and trumpet creeper.